So by now we know that I eat all day every day but after a while it becomes monotonous and boring ( like most of my relationships). 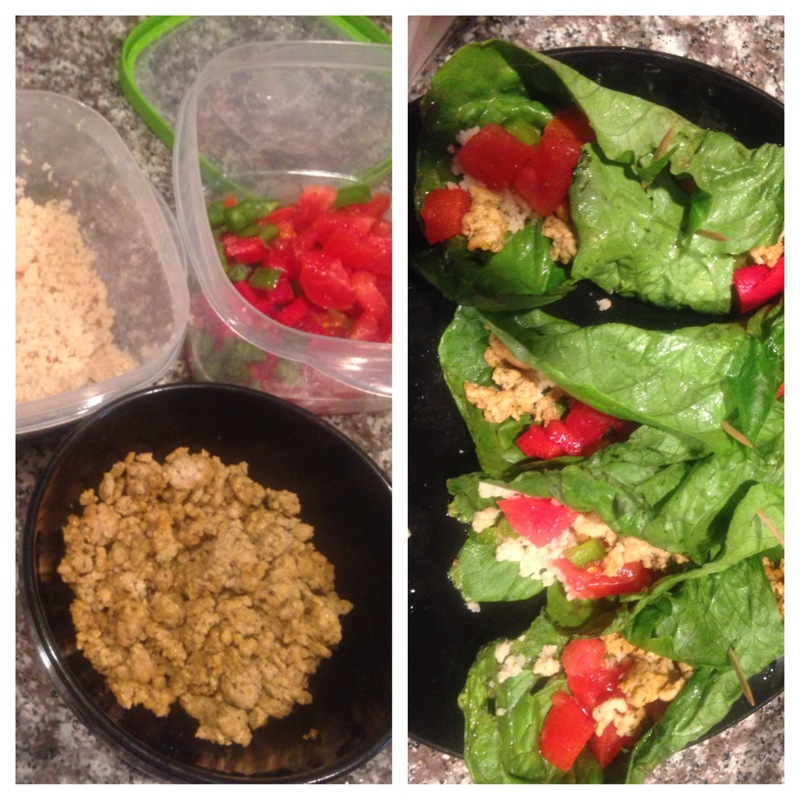 I am a huge fan of the Taco bus here in Tampa ( and let’s get one thing clear I still go and will continue to do so every month because I am healthy, not crazy) but I had no desire to make the drive in traffic so I made a wise choice and made my own healthy tacos! Here you go, Sandra D’s Turkeyliscious Tacos! Assembly was a piece of cake (I could use a pice of cake actually). 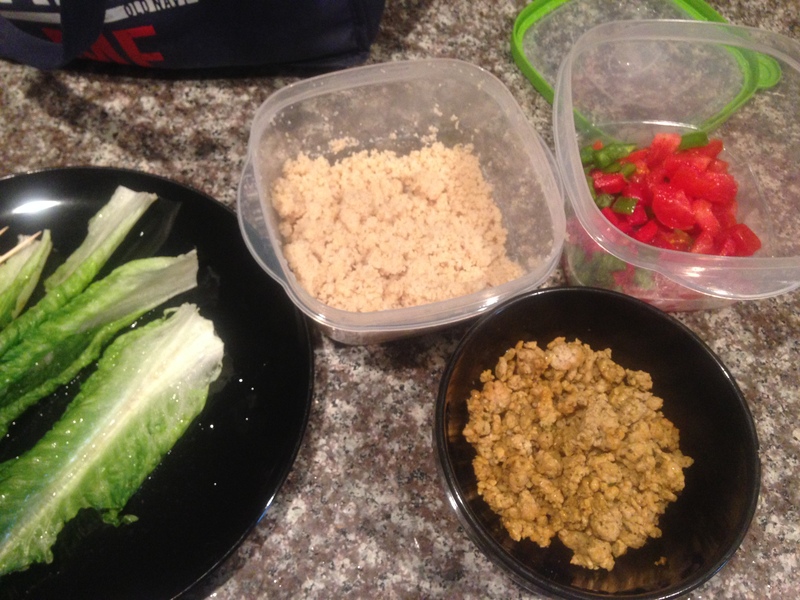 Lay lettuce on plate and add a layer of turkey, quinoa, tomatoes, peppers and onions. Roll one end of the leaf over the other and pin shut with a toothpick! Wala! Easiest meal ever and no guilty feeling.